The government has an essential role in industrial and economic development. The Ministry of Economy and Planning formulates economic and social development plans that set long-term economic goals. Additional sectors of the economy are overseen by individual ministries, such as agriculture, energy, transportation, communications and finance. The private sector is playing an increasingly larger role in the Saudi economy – it now accounts for 48 percent of the gross domestic product (GDP). The sector is expected to continue growing, especially as Saudi Arabia opens its doors further to foreign investment. In December 2005, Saudi Arabia joined the World Trade Organization (WTO), a significant development that gives Saudi products greater access to global markets, creates jobs and encourages foreign investment. When the modern Kingdom was established in 1932, the Arabian Peninsula was an agricultural society that depended on farming and commerce – especially date exports and trade generated by pilgrims coming to Makkah and Madinah. It lacked the infrastructure needed to support the kind of economic growth envisioned by its founder, King Abdulaziz bin Abdulrahman Al-Saud. The discovery of oil in commercial quantities in 1938 changed that. Soon after World War II, steady oil exports provided the funds to build a basic infrastructure of roads, airports, seaports, schools and hospitals. In 1970, Saudi Arabia introduced the first of a series of ongoing five-year development plans to build a modern economy capable of producing consumer and industrial goods that previously had been imported. The country’s infrastructure was expanded, allowing industry and commerce to flourish. At the same time, the national oil company, Aramco, invested in new production facilities, pipelines, plants and shipping facilities and continued exploring for new deposits to maximize earnings from the oil sector, which were needed to fund further growth. The result has been a steady economic transformation of the country. Today, Saudi Arabia is one of the fastest developing countries in the world. While Saudi Arabia’s economic base continues to be dominated by oil, the Kingdom has taken steps to diversify the economy. Today, industrial products make up more than 90 percent of the Kingdom’s non-oil exports. Saudi Arabia exports petrochemicals, plastics, metal goods, construction materials and electrical appliances to some 90 countries. Petrochemical and other oil-based industries are concentrated at industrial cities in major urban centers. These plants use natural gas and natural gas liquids that were previously flared, as well as refined products from the oil industry to manufacture products that would in turn feed non-oil industries. Concentration on industrial plants in specific areas also facilitates the provision of vital support services, such as water, power and transportation. The Jubail Industrial City on the Arabian Gulf has dozens of factories and industrial facilities, including a desalination plant, a seaport, a vocational training institute and a college. The Yanbu Industrial City on the Red Sea has a modern port, refineries, a petrochemical complex and many manufacturing and support enterprises. The government offered incentives for the establishment of private companies at the industrial cities. The Saudi Arabian Basic Industries Corporation (SABIC), created in 1976, set up non-oil industrial facilities that use as feedstock natural gas and natural gas liquids manufactured by the oil industry. SABIC is owned 70 percent by the Saudi government and 30 percent by shareholders from the six Gulf Cooperation Council (GCC) countries. SABIC quicly became the backbone of Saudi Arabia's successful industrialization. By 1994, it had 15 major plants operating in Jubail, Yanbu, and Jeddah, with an annual production of 13 million metric tons. By 2002, total production was 40.6 million tons of basic and intermediate chemicals, polymers, plastics, industrial gases, fertilizers, steel and other metals; this figure is expected to exceed 48 million tons by 2010. One of the most ambitious economic projects to date is the massive King Abdullah Economic City near Jeddah, which broke ground in December 2005. The residential and commercial megaproject will include a dedicated port, an industrial park, a residential and hotel complex, and educational facilities. 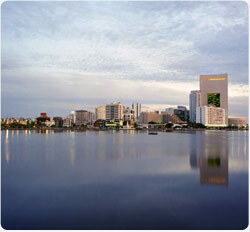 In 2006, Custodian of the Two Holy Mosques King Abdullah launched similar economic cities in Rabigh, Hail and Madinah. Plans are also underway for an economic city in Makkah. By the 1960s, Saudi Arabia had made major advances in many areas. Roads were established, a modern educational system introduced, health care improved, agriculture expanded and factories built. Although the economy largely depended on oil revenues, Saudi leaders resolved to bring about basic improvements in the country's economic structure. The objective was to diversify the economy away from oil into other fields. Achievement of such an economic transformation required deliberate planning and careful implementation of a development program with clearly defined objectives. The quest for economic development and growth began in earnest with the introduction of the First Development Plan in 1970. This began a series of five-year plans that continues today. The first phase of this process was to establish an infrastructure that could support a modern economic base. The next was to develop the human resources necessary to help bring about the planned economic transformation. Finally, the focus could shift to economic diversification, including expansion of the industrial, agricultural and other sectors, an expansion that is now well advanced. The establishment of the physical infrastructure was accomplished in stages during the first three development plans. 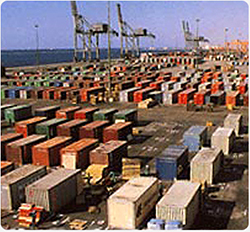 As the infrastructure was taking shape, the government launched a major effort to expand the industrial base. This was done along two separate, but parallel, courses. One aimed at the expansion of the country's oil industry and the other at establishing a modern non-oil industrial sector. In addition to optimizing revenues from Saudi oil production, the modern oil industry plays an equally important role in the development of the non-oil industrial sector by providing the raw materials and feedstock that facilitates this growth. By 1985, with most of the physical infrastructure in place, attention shifted to diversifying economic sources. 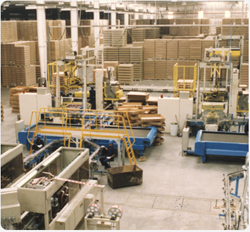 The Fourth (1985-89), Fifth (1990-94), Sixth (1995-99) and Seventh (2000-04) Plans all emphasized strengthening the growing private sector and increasing the efficiency of the industrial sector. The Eighth Five-Year Development Plan (2005-09) was devised with a focus on increasing foreign as well as national investment, and on developing human resources. Throughout the course of the development plans, Saudi Arabia's steady but dramatic industrial and economic transformation has been accomplished through the careful guidance and active support of the government. To judge the success of this effort one need only consider that in the 25 years from 1970 to 1995, the non-oil sector's share of GDP increased from 46 percent to just over 70 percent, and that this GDP tripled, to 125.1 billion U.S. dollars, reflecting a growth rate of 8.6 percent in current prices. By 2002, the GDP had reached 186 billion dollars. The Ministry of Finance supervises implementation of the nation's economic policies. The Saudi Arabian Monetary Agency (SAMA), the nation's central bank, oversees the country's fiscal policy. To facilitate the expansion of the private sector's role in the national economy, the government established five specialized credit institutions, which provide economic opportunities to many Saudis who were previously unable to compete in the marketplace. These financial institutions have provided loans to citizens for development projects in agriculture, industry and construction. Saudi Arabia has a modern banking industry with 13 commercial banks. Saudi banks provide retail and corporate banking, investment services, brokerage facilities, and derivative transactions in addition to credit cards, ATMs and point-of-sale transactions. 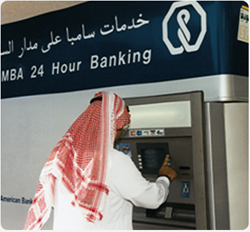 There are also banks in the Kingdom that provide Islamic banking services. Islamic banking is a system of banking that is consistent with the principles of Islamic law (Shari’ah). It prohibits usury, the collection and payment of interest and trading in financial risk. Saudi Arabia also has a thriving stock market. The total value of shares traded annually is some SR 60 billion [US $16 billion]. The Tadawul All-Share Index (TASI) of the Saudi stock market is one of the most highly capitalized stock exchanges in the Arab world. TASI was also one of the first exchanges globally to set up a full electronic clearing and settlement system with immediate transfer of ownership. The banking and finance sector is overseen by several government agencies. The Ministry of Finance supervises economic policies. The Saudi Arabian Monetary Association (SAMA) manages fiscal policy, issues the country’s currency, the Saudi Riyal and oversees the nation’s commercial banks. The government has also established five specialized credit institutions to provide loans to citizens for development projects in agriculture, industry and construction – the Saudi Industrial Development Fund (SIDF), the Saudi Arabian Agricultural Bank (SAAB), the Real Estate Development Fund, the Public Investment Fund and the Saudi Credit Bank.